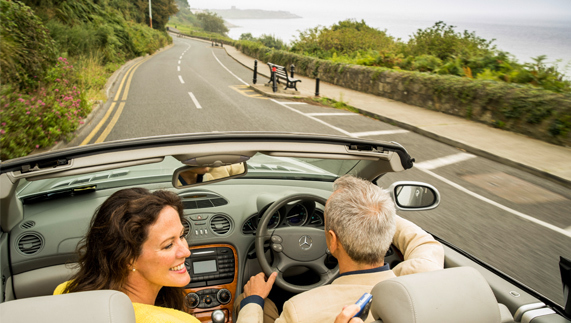 Renting a vehicle in Ireland puts the island in your hands. From cars to motorcycles to camper vans, vehicle rental is easy and varied. 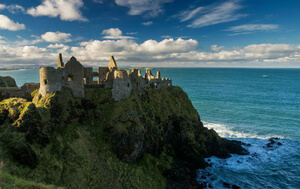 Car hire companies in Ireland are generally based in airports and cities. You will need a valid licence and credit card to rent a vehicle in Ireland. Most rental companies will not rent to drivers under 25 but there is no upper age limit. However, if you are over 75, you will be asked to meet additional requirements. This information is generally included in the terms and conditions on the company's website. Try and book in advance to get better offers or deals and to ensure availability during the high season. In Ireland, the majority of rental cars are standard shift (manual transmission). 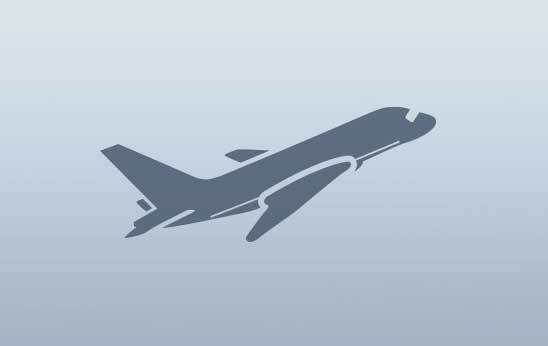 Automatic cars are available, but you should book well in advance of travelling to avoid disappointment. If you are travelling with a child or children in need of a child seat, tell the rental company in advance. You need a valid licence and credit card to rent a vehicle in Ireland. Most rental cars are standard shift, so book in advance to get an automatic. Modified and hand-controlled cars can be rented for those with reduced mobility. You must have passed a specific motorcycle driving test to rent a motorcycle. Campervan drivers generally need to have held a licence for a minimum of eight years. Motability Ireland specialises in modified and hand-controlled cars and Accessible Ireland also offers information on vehicle rental. Car rental companies and rules of the road from the Irish car rental industry's representative organisation. 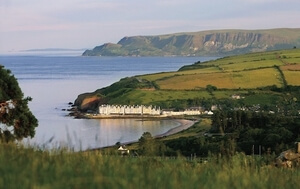 Rental directories, consumer advice and top tips for motorists travelling in Northern Ireland. Information on the barrier-free tolling system on the M50 ring road around Dublin, and how you can pay your toll. Motorcycle enthusiast, Paul Rawlins of Celtic Rider says it all when he talks about taking to the roads by motorbike in Ireland: “If you enjoy good clean air, good roads with little traffic, spectacular scenery, a soft drop of rain, great people, fine food, music, and craic [fun] then motorcycling in Ireland is for you." 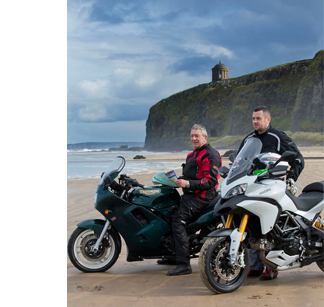 Age restrictions for motorcycle rental on the island of Ireland vary, but are generally around 23-25 years. You will need a driver's licence (for most rental companies you will need to have passed the specific motorcycle driving test) and current passport in order to rent a bike. If you are interested in renting a bike with a side car, contact the rental company in advance to ensure the vehicle is available before you travel. 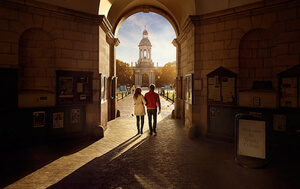 Exploring Ireland by camper van marries two great loves of any traveller — good value and freedom. 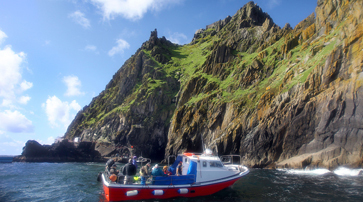 Also, if you think that a camper van will restrict you to the mainland and prevent you from visiting the islands, then think again: Melindam from the US decided "on a whim...to see if the island ferry (to Aranmore Island off the Donegal coast) could handle the campervan — and it could. 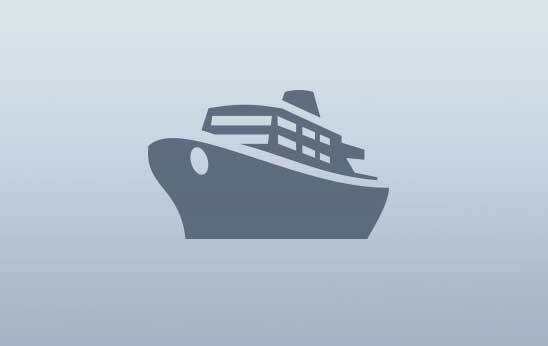 The ferry skippers are master packers." That said, it is advisable to check with the ferry operator before arriving at the port. If you have any specific motor-home or campervan queries, a great port of call is Motor Caravan Club Ireland. Drivers will need to have held their licence for a minimum of eight years to rent a campervan. This will vary somewhat between rental companies but you should find specific requirements on the rental company's website in their FAQ or Terms and Conditions sections. VW Campervan rentals have become particularly popular recently (especially for festivals), and there are a number of companies in both the Republic of Ireland and Northern Ireland where they can be rented. To avoid misunderstandings, you should always check the detailed terms and conditions of your rental booking in advance. You will be required to sign a rental agreement with the car rental company, even if you book through a third party (e.g. broker, agent, tour operator) so we suggest that you spend some time in advance understanding the options before you select the various insurances, waivers and other options as appropriate. 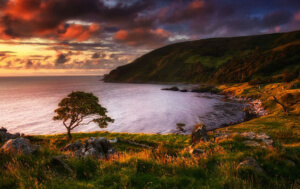 For insurance reasons, you should let the car rental company know if you plan on travelling between the Republic of Ireland and Northern Ireland. 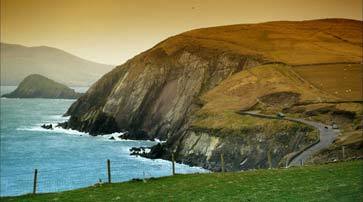 Find out about travelling by road in Ireland. By road, by sea, by air, by bike, by rail or by foot: whichever way you choose to travel in Ireland, we’ve got you covered. For those travelling around by road, being prepared is key. Here’s what you need to know about driving laws, tolls and parking.